The definition of a successful franchise is to replicate your original establishment over and over again, in as many places as possible without ever changing a single detail, so that an unobservant diner won’t realize if he just left a tip in Los Angeles, Lima or Lisbon. Sad, but true. 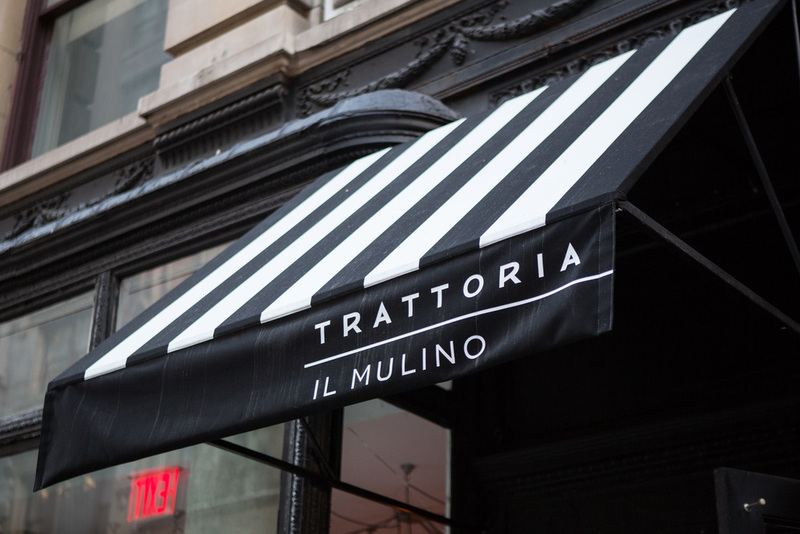 Well, the team that created the expense-account-haven Il Mulino in Greenwich Village decided to do just the opposite! Instead of re-creating the serious, stuffy, dark-and-formal Ristorante that has been a permanent fixture on West 3rd street for over twenty years, the first thing they did after bursting into their new Flatiron home was throw away the rule book. If the original Il Mulino is the stoic godfather, then this Trattoria is the naughty grandson – like an irreverent party-boy who drives too fast and stays out too late (but who has MUCH more fun than anyone else!) Clearly the fresh canvas will attract a brand new generation of avid followers – including me. Here you won’t find any creaky floorboards, heavy wood panels or gruff Coke-bottle-bottom-bespectacled waiters. Oh no. Here everyone’s a hunky twenty-something with massive personalities and uncanny memories for names. The art is bright and modern, the lighting is overt and interesting, and the only texture that can possibly absorb the din are the ribbons of fresh pasta and Salumi. One section of the “cater-to-all-tastes” menu pays homage to the classic dishes still being ordered on West 3rd , like the sage-flavored Double-cut Veal Chop, but the rest of the options are cheeky, fun and bold. 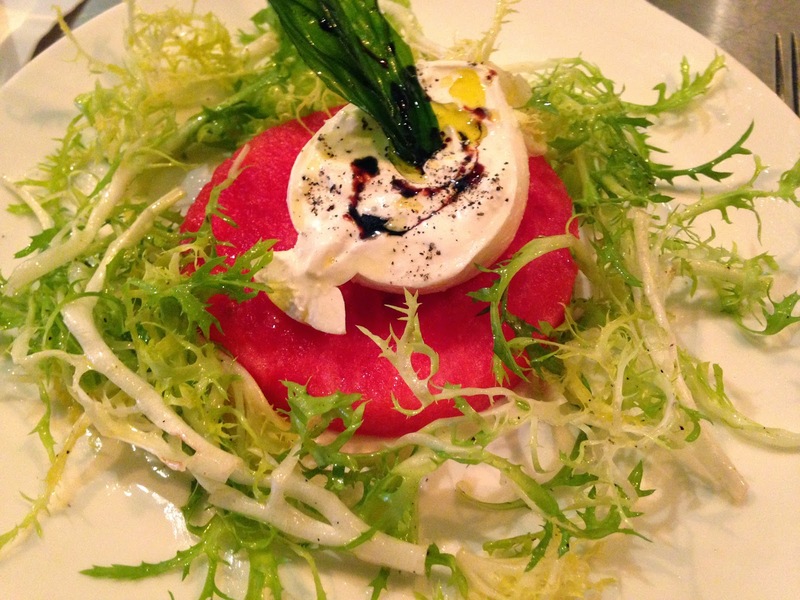 Who says you can’t pair Burrata with Watermelon? Who says you can’t pound the Chicken in Crosta breast into 360 degrees and then smother it with a decadent lemon sauce? Add a side of Braised Kale Parmigiano and you are on your way to embracing the new Italian casual-chic. Side note: For some of us, living in the mega-forest of great restaurants can be a daunting reality. If it’s therefore important to find somewhere where “everyone knows your name”, then this would be my ground-zero!